My disposal leaks under the sink. Home / Lakewood Ranch Plumber / My disposal leaks under the sink. A common problem plumbers in Lakewood Ranch hear from their customers is, I have water leaking under my kitchen sink and it appears to be coming from the garbage disposal. The first thing to do is to dry everything off so you can determine where the leak is coming from. When you have dried off the area, run some water and see if you can pinpoint the source of the leak. Start looking at the bottom of the sink. Sometimes, the installer didn’t get the mounting bracket tight enough or did not use plumbers putty on the bottom of the strainer. If water is coming out from the mounting bracket, disassemble the disposal from the bracket and putty or tighten the bracket. Reassemble and test for leaks. The leak could be coming from the branch on the disposal that excepts the dishwasher discharge line. Sometimes, this branch just corrodes and literally breaks or falls off. If this happened to your disposal, a replacement is the only cure. Another place disposals leak from is the seal on the inside of the disposal. Water will be coming out the bottom of the disposal. this leak is caused by age and/or someone using too strong of a drain cleaner. The only cure is to replace the unit. If no water is coming from around the disposal, then check the ‘p’ trap under the unit. It may be corroded and causing the leak under the kitchen sink instead of your disposal. In the past, I have heard customers refer to their garbage disposals as a garbureator. forgive the spelling on that, I not sure that it is even a word, but it refers to what people call a garbage disposal. (that was just some fyi). If you need to disassemble the ‘p’ trap under the sink, and it has rubber washers, be sure to use new washers to prevent drips so you can rest assured your spouse doesn’t find any more leaks under the sink and you can be the hero. 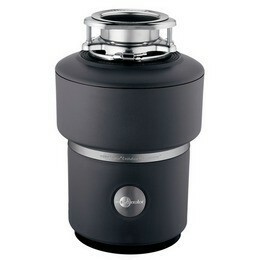 When shopping for a new disposal, Wimpy’s Dependable Plumbing, Inc., recommends InSinkerator brand disposals. They have in home warranties that cover labor and material, should the unit have a problem.. The selection of different models, features and price ranges, can fit most budgets. The features Wimpy’s Dependable Plumbing, Inc. recommends for a disposal are; at least a 3/4 horsepower motor that reverses itself every time you turn it on. Also a stainless steel shredding will give the unit a longer lifespan.If you need a Sarasota plumber, a plumber in Sarasota, Bradenton or Lakewood Ranch, you should call Wimpy’s Dependable Plumbing, Inc.. We can help you make the right decision for you. Wimpy’s Dependable Plumbing, Inc. Sarasota, Fl. (941-322-1911). You will love our service.